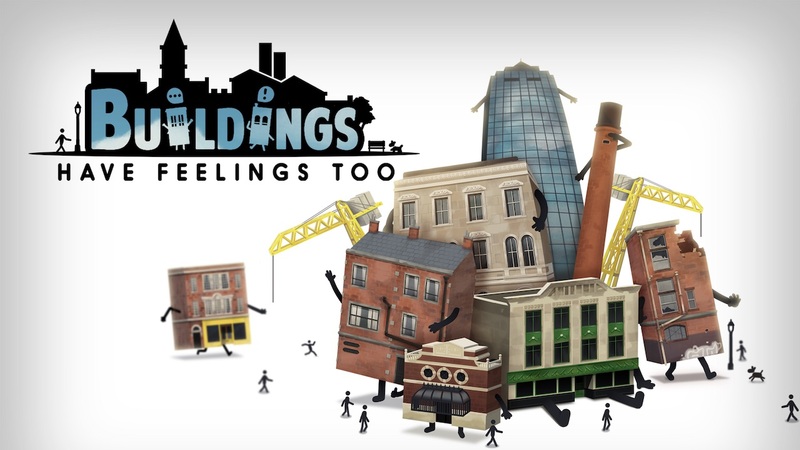 Merge Games and Blackstaff Games have released a new trailer for Buildings Have Feelings Too!, an “ultra-quirky city-sim” that’s headed to Nintendo Switch. Every building can walk and talk, and each has its own aspirations, hope, and fears, that, just like humans, mostly sees them spend their time trying to get along with each other and make it through the day. You are challenged to grow your city while making sure that the individual buildings thrive, or otherwise live with the guilt at seeing them being demolished forever. New industries can be researched over time and new architectural marvels can be built. World events may cause buildings to fail and business to go bankrupt, leaving you to discover new ways to maintain your city – whether that be refurbishing a building or moving one to a nicer area. You will be able to grow your city to create multiple neighborhoods, and specialist areas, like busy finance hubs or bustling theatre districts, will become available. Buildings Have Feelings Too! will release on the Nintendo eShop for Nintendo Switch worldwide in Summer 2019.